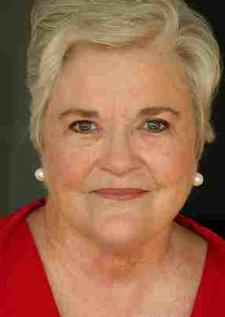 Benner earned her Bachelor of Arts degree in nursing from Pasadena College in 1964. She was given a Master of Science in Medical-Surgical Nursing from the University of California at San Francisco in 1970, and a Ph.D. from the University of California at Berkeley in 1982. In the late 1960s, Benner worked in the nursing field. This included working as a Head Nurse of the Coronary Care Unit at the Kansas City General Hospital and an Intensive Care Staff Nurse at the Stanford University Hospital and Medical Center. From 1970 until 1975, she was a Research Associate at the University of California at San Francisco School of Nursing. Following that, she was a Research Assistant to Richard S. Lazarus at the University of California at Berkeley. From 1979 until 1981, she was the Project Director at the San Francisco Consortium/University of San Francisco for a project achieving methods of intraprofessional consensus, assessment, and evaluation. Since 1982, Benner has been working in research and teaching at the University of California at San Francisco School of Nursing. Benner has published nine books, including From Novice to Expert, Nursing Pathways for Patient Safety, and The Primacy of Caring . She has also published many articles. In 1995, she was awarded the 15th Helen Nahm Research Lecture Award from the University of California at San Francisco School of Nursing. Patricia Benner developed a concept known as "From Novice to Expert." This concept explains that nurses develop skills and an understanding of patient care over time from a combination of a strong educational foundation and personal experiences. Benner proposed that a nurse could gain knowledge and skills without actually learning a theory. She describes this as a nurse "knowing how" without "knowing that." She further explains that the development of knowledge in fields such as nursing is made up of the extension of knowledge through research and understanding through clinical experience. The theory identifies five levels of nursing experience: novice, advanced beginner, competent, proficient, and expert. A novice is a beginner with no experience. They are taught general rules to help perform tasks, and their rule-governed behavior is limited and inflexible. In other words, they are told what to do and simply follow instruction. The advanced beginner shows acceptable performance, and has gained prior experience in actual nursing situations. This helps the nurse recognize recurring meaningful components so that principles, based on those experiences, begin to formulate in order to guide actions. A competent nurse generally has two or three years' experience on the job in the same field. For example, two or three years in intensive care. The experience may also be similar day-to-day situations. These nurses are more aware of long-term goals, and they gain perspective from planning their own actions, which helps them achieve greater efficiency and organization. A proficient nurse perceives and understands situations as whole parts. He or she has a more holistic understanding of nursing, which improves decision-making. These nurses learn from experiences what to expect in certain situations, as well as how to modify plans as needed. Expert nurses no longer rely on principles, rules, or guidelines to connect situations and determine actions. They have a deeper background of experience and an intuitive grasp of clinical situations. Their performances are fluid, flexible, and highly-proficient. Benner's writings explain that nursing skills through experience are a prerequisite for becoming an expert nurse. These different levels of skills show changes in the three aspects of skilled performance: movement from relying on abstract principles to using past experiences to guide actions; change in the learner's perception of situations as whole parts rather than separate pieces; and passage from a detached observer to an involved performer, engaged in the situation rather than simply outside of it. The levels reflect movement from reliance on past principles to the use of past experience and change in the perception of the situation as a complete whole with certain relevant parts. Each step builds on the previous step as principles are refined and expanded by experience and clinical expertise. Benner's theory of From Novice to Expert changed the understanding of what it means to be an expert in the nursing field. This moves the label from a nurse with the highest pay or the most prestigious title to the nurse who provided the best care to his or her patients.